If you are wondering about number 6, it became one of the pictures I have in my final gallery, with that said. 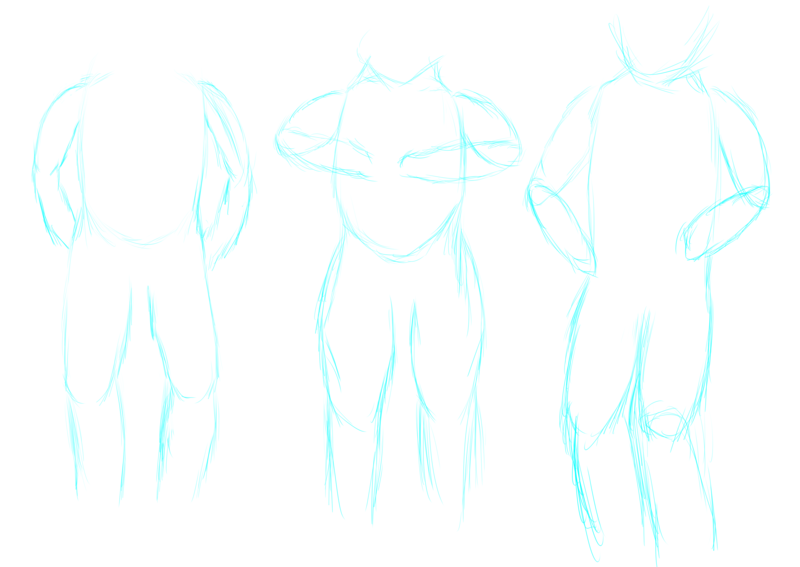 Just a bit more practice..this time just a general tryin to do some body poses..get arms/legs connected to the body...tryin to see if I can make it look decent...spent some time tryin to make sure I could get the head/neck on some of em correctly as well. The big thing was really getting the shape and size to something I'm happy with..as well as tryin to find a good method to make em. I think a big problem I have is that I hate making a single line..whereas when I make short lines like this it somehow looks 'better' to me..so eh who knows. I will admit I'm slowly getting happier with these different sketches...either I'm becoming complacent with my drawing..or I'm getting better..I hope I'm getting better, heh.